Captain Harmanpreet Kaur, on 29 November, led from the front as India outplayed arch-rivals Pakistan by five wickets to remain the sole unbeaten team in the Women's Asia Cup T20 tournament. Kaur bagged two crucial wickets, helping India restrict Pakistan to 97 for seven in 20 overs before taking her team over the line with an unbeaten 26 off 22 balls. She was batting alongside Anuja Patil (2 not out) when India overcame the modest target with four balls to spare. Mithali Raj's 36 off 57 balls at the top of the order were also of high value and so were the three wickets from left-arm spinner Ekta Bisht. There was suspense till the end whether India would face Pakistan in the tournament considering the escalated tensions at the border. 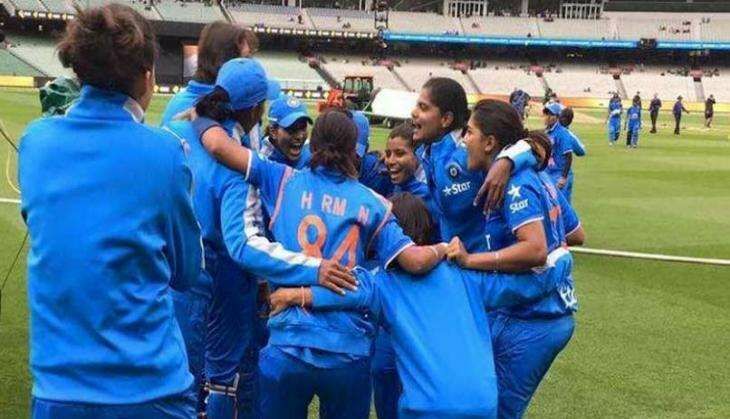 Earlier this month, the International Cricket Council (ICC) had docked India six points for not playing Pakistan between 1 August and 31 October as per the ICC Women's Championship. As it turned out, India took the field in the keenly followed clash and emerged on top, avenging their narrow defeat in the World T20 at home in March. The win was also India's third in as many games. They now sit on the top of the table with six points, followed by Pakistan and Sri Lanka. The other teams in the competition are Bangladesh, Thailand and Nepal. India were in control for the major part of the match after they won the toss and put Pakistan in to bat. They took wickets at regular intervals, not allowing Pakistan to build a partnership. The Pakistan batting line-up put up an ordinary effort barring opener Ayesha Zafar (28) and Iram Javed, who remained unbeaten on 37 off 41 balls. India made a cautious start to the chase and by the 11th over they had seen the back of opener Smriti Mandhana (14) and number three Sabbhineni Meghana (8). The experienced Raj held the innings together with a fighting knock before Kaur took over from her and got the job done.